On November 9, South Korean President Moon Jae-in unveiled his “New Southern Policy,” aimed at deepening relations with the countries of the Association of Southeast Asian Nations (ASEAN). 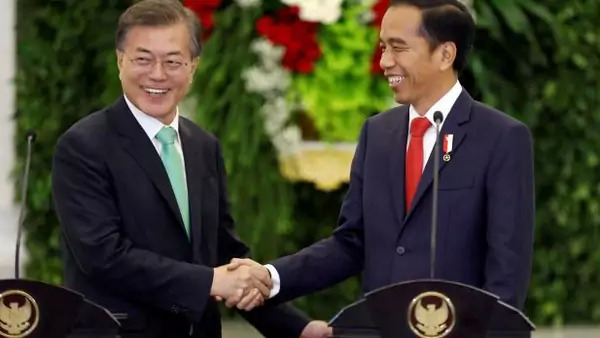 Moon’s announcement, made on a state visit to Indonesia, came amid a flurry of diplomatic activity in the region ahead of the latest ASEAN summit in the Philippines and U.S. President Donald Trump’s trip to Asia. In an email interview, Scott Snyder, a senior fellow for Korea studies and director of the program on U.S.-Korea policy at the Council on Foreign Relations and author of the forthcoming book South Korea at the Crossroads, discusses what is behind the New Southern Policy and what it means for South Korea’s allies and neighbors. Read the interview on WorldPoliticsReview.com.